BSNL Kerala telecom circle has announced 2nd spell of Mela Offers for the month of August 2016 which starts on 29th August 2016 for it's Prepaid and Postpaid Mobile Customers in the state. 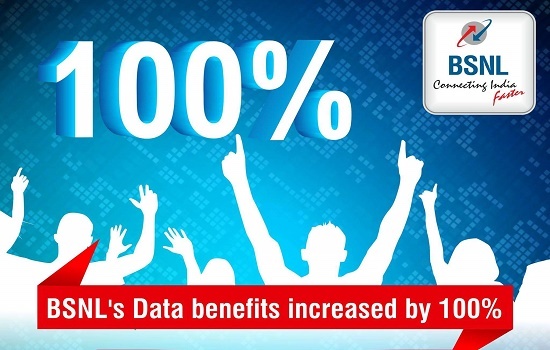 During the offer period, customers can avail Independence Day special Extra Data Offers, Full Talk Time, Extra Talk Time, Free SIM Cards and Free Activation of Postpaid Mobile Connections via Melas / Exhibitions conducted by BSNL. BSNL's Free SIM Offer includes - New Students Special plan with 1GB Free 3G Data, Free Mithram prepaid mobile connection with 250MB 3G Data + Rs 40 talk time, Free extra Pyari Jodi SIM card to new Per Second/Per Minute/Special Roaming Tariff Plan customers, having the special benefit of Free 20 minute call per day to one Landline / Mobile number of local Kerala BSNL. In addition to the existing Full Talk Time / Extra Talk Time offers, BSNL Kerala circle - the highest revenue generating circle of BSNL, announced the following offers those can be given during Melas / Road shows / Exhibitions, which may conducted by BSNL Kerala circle in their territory. BSNL's 2nd spell of Mela Offers for the month of August 2016 will be available from 29th to 31st August 2016 (3 Days). Free extra Pyari Jodi SIM card to new Per Second/Per Minute/Special Roaming Tariff Plan (PV 106/107/199) customers, having the special benefit of Free 20 minute call per day to one Landline / Mobile number of local Kerala BSNL with 180 days validity. Independence Day Extra Data Offers from 01-08-2016 to 31-08-2016 : Extra Data for Data STVs - 292, 444, 821, 1099 and 1949. Customers taking new BSNL Prepaid Mobile connection may pay only the Plan Voucher charges during this period. Plan vouchers are used to enroll prepaid mobile customers in a specific tariff plan. Plan voucher amount for New Students Special plan is Rs.118/-(Inclusive of Service Tax). As per the latest information, BSNL will offer Students Special plan to all new/MNP customers. Students below the age of 18 may submit a certificate from the school authorities in addition to his/her Aadhar Card and passport size photo.